ERNTEC Pty Ltd is a leading player in the manufacture and supply of precision components to all sectors associated with electrical, electronic and medical engineering. Over more than 30 years since its foundation in Melbourne in 1972, ERNTEC (formerly ERNI Australia Pty Ltd) has built a pre-eminent market position and is recognised by its customers as a company that provides high-quality products and exceptional service. We have come a long way since we first opened our doors for business. At the time of our establishment, the primary product range consisted of relays. In subsequent years we were instrumental in the introduction to Australia, of components used in the popular “Eurocard” packaging system for electronics equipment. As the popularity of the “Eurocard” packaging system grew so did the requirements of our customers. Reflecting the special needs of our customers base, in 1988 the company took the decision to begin manufacturing with the installation, of state-of-the-art machinery to manufacture high-precision metal work. This gave us flexibility to provide custom packaging solutions, which were not possible with standard off the shelf components. Since then many more precision machines have been added to our production facility. We are thus in a position to offer value-added services that allow us to better serve our customers. 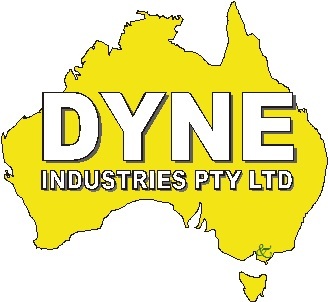 Today, with more than 10,000 standard products in our range coupled with our ability to customise a complete packaging system, we have established ourselves as a unique supplier to the Australian market. ERNTEC has and will continue to choose, product suppliers who are leaders in their field and we remain committed to ongoing improvement with a strong emphasis on customer service. Over the years, we have demonstrated this commitment and proved to be reliable, technically and commercially strong and an innovative partner for all our customers.